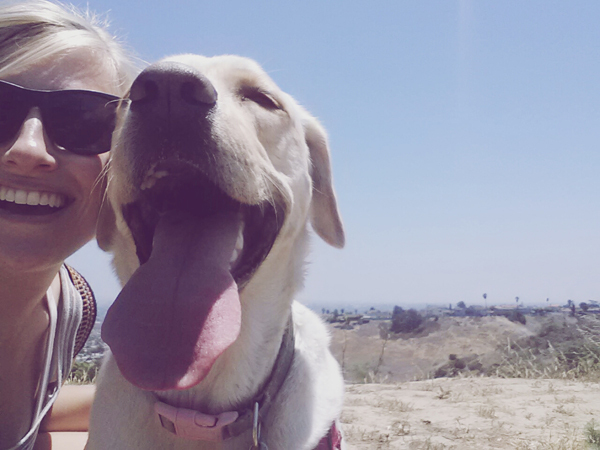 Yesterday I attempted my first ever solo hike with Kipling at Kenneth Hahn and learned two things. 1. 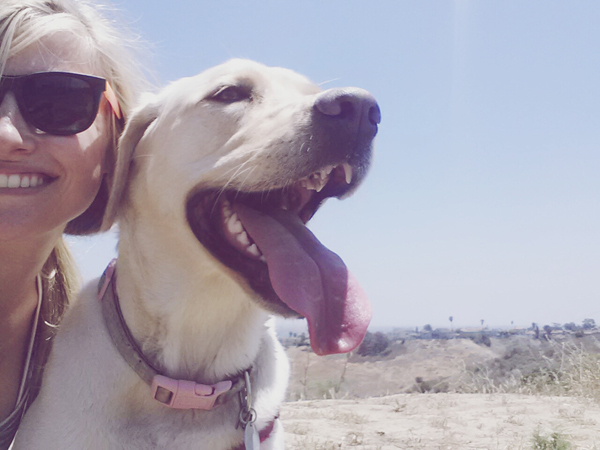 Kipling is both the best and worst workout partner – she never stops. She is still a tugger, and she was going absolutely nuts over all of the gopher holes. 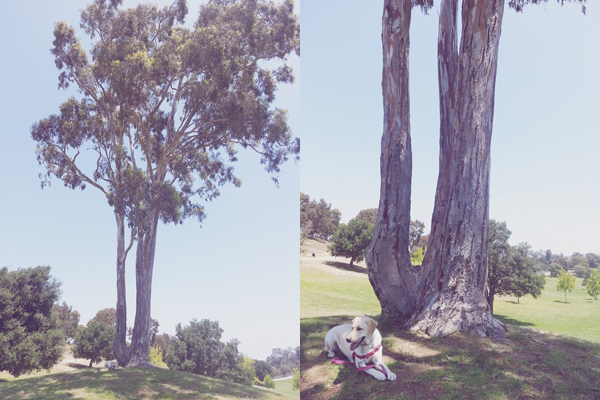 She dragged me up the hill and proceeded to zig-zag back and forth across the lawn in hopes of snooping out a gopher. I wouldn’t exactly call it the most relaxing walk through nature. 2. It’s probably not the best idea to hike alone on secluded trails that you know absolutely nothing about. The park itself has plenty of people, but I wanted to hike on an actual trail. After finding one, I started down it with Kipling and though being secluded in the outdoors is an awesome feeling, I realized it probably wasn’t the safest thing for me to be doing. I hiked a ways down before I decided to turn around…because who knew how long the trail was or where it would lead me to. Kipling had my back, and I still had cell phone service, but still…better to be safe than sorry. So I’ll just say – it was an experience. I was definitely glad to be outside in the sunshine and get my body moving. It wore Kipling out, which is always a win (though she could have worn herself out simply by her excited energy, rather than the actual physical activity). For now, I’ll leave the walking Kip on hikes up to my husband. 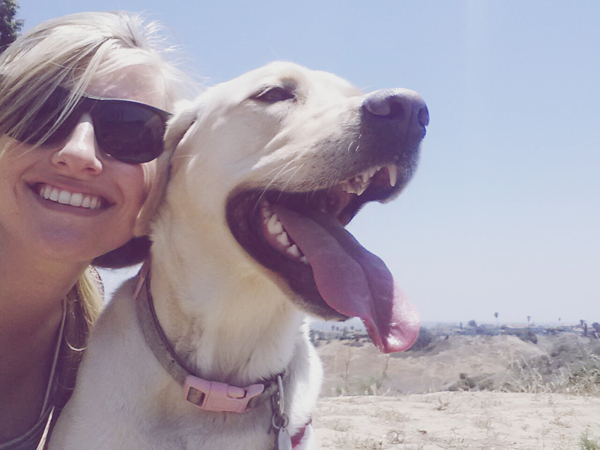 ;p Labs : puppies until they’re six years old.